Awaken the power within your skin. LIFTLAB Cell Protection Proteins® (CPP™) are Nature's cutting edge technology. Discovered in the Arctic, these specialized proteins shield and reinforce cells, which allows marine life to not only survive , but to thrive in harsh conditions. LIFTLAB scientists have learned that these proteins also have powerful protective and regenerative effects for our skin, in all environments. After 20 years of research, scientifically proven, patented Cell Protection Proteins are at the heart of every LIFTLAB formula. Cell Protection Proteins help boost the production of 41 key skin proteins , including collagen and elastin , for healthier, younger looking skin. Powerful proteins for the ultimate in anti-aging. They say you can't turn back time, but with LIFTLAB, you can come close. As we age, collagen and elastin production decreases, causing skin to become wrinkled and sagging. LIFTLAB uses a combination of scientific research and cutting-edge technology to battle aging and create youthful skin. Discover the LIFTLAB difference. 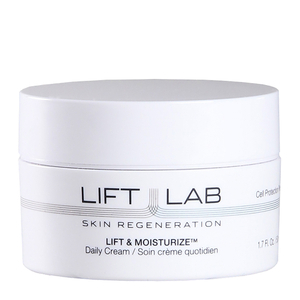 With so many anti-aging formulas on the market, why should you choose LIFTLAB? 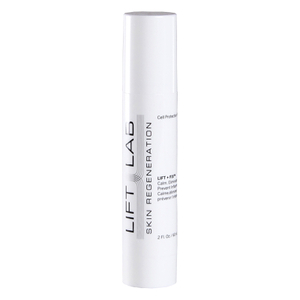 LIFTLAB contains proprietary formulations, as well as a Self-Regulating Lift System, to not only prevent signs of aging but correct existing damage as well. The ingredients work seamlessly with your skin to create a natural, youthful appearance. LIFTLAB can be used by men and women of various skin types. Many users experience differences in their skin almost immediately, although it may take 30-60 days before you see maximum results. LIFTLAB products are not tested on animals and are free of parabens. So if you're looking to awaken the power within your skin, discover how LIFTLAB can make it possible.